Le 11 mai 1842, en provenance de Kingston, arrivaient à Montréal un célèbre personnage et son épouse. Auparavant, Charles Dickens avait effectué un voyage triomphal aux États-Unis. La publication d’Oliver Twist l’avait rendu célèbre. Il s’agit bien sûr de l’écrivain britannique Charles Dickens. Les Dickens passèrent quelques jours à Montréal, puis arrivèrent à Québec le 27 mai pour une brève visite. Dickens a raconté ses souvenirs de son passage au Bas-Canada dans American notes. Vous pouvez lire ici ce qu’il a raconté sur le Bas-Canada. Pour terminer, voici quelques extraits de journaux du Bas-Canada, en français et en anglais, qui donnent une idée de l’accueil qu’on lui a réservé. M. Charles Dickens, célèbre romancier anglais, et que les Américains ont fêté jusqu’à l’obsession à son arrivée chez eux, vient d’arriver à Montréal avec sa Dame, venant du Haut-Canada. *Boz: le célèbre M. Dickens, le populaire auteur anglais est arrivé hier au milieu de nous; il a reçu hier de nombreuses visites à l’Hôtel Rasco et a fait, accompagné de Lord Mulgrave, le beau tour de la montagne. Cette riante promenade dans des sites les plus pittoresques du Bas-Canada fait dire à Boz que le séjour à Montréal offre de quoi ravir un touriste. 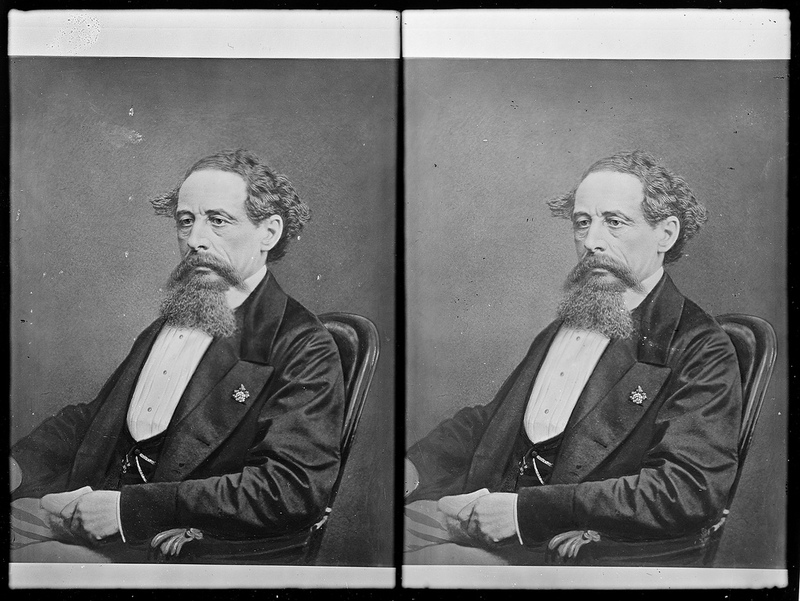 Mr. Dickens, the celebrated novelist, whose visit in the U. States was hailed with so much obstreperous hospitality, has continued his tour in Canada, crossing over from Buffalo and proceeding by Toronto, and Kingston to Montreal, where he with Mrs. Dickens arrived on Wednesday last, and took lodgings at Rasco’s Hotel. If the arrival of Mr. Dickens amongst us has not been marked by the aproarious demonstrations by which he was overwhelmed in New York and other cities of the Union, the quiet attentions shown to himself and lady have not less sincerely marked the estimation in which he is held as an author and are, we believe, more in unison with the feelings of our distinguished countryman, who travels to see countries, amuse and improve himself, and not to make a show of himself for the gratification of gaping curiosity. We learn that at Toronto Mr. and Mrs. Dickens were waited upon by all the élite of the society, during their short stay of two days, and dined with a large party of fashionables at the Chief Justice’s. Their reception at Kingston was equally kind. We know not what stay they intend to make in Montreal where they are receiving every attention, but we think they may be assured of an equally cordial reception in quebec. Mr. Dickens, (Boz) and his lady arrived in this city, yesterday morning by the steamboat Lady Colborne, from Montreal, and departed again, in the same boat, in the afternoon; they were accompanied by the EARL OF MULGRAVE, who had been their fellow passenger across the Atlantic, and who, since their arrival in Canada East, has shown them every kindness which his rank and station enabled him to offer. They proceeded on landing to the house of Dr Fisher, where they breakfasted and then set out to view the Citaded, there they met with every attention from the Officers of the Grenadiers Guards, now forming its Garrison. Having viewed the works and enjoyed the Plains of Abraham and took a cursory view of the City. 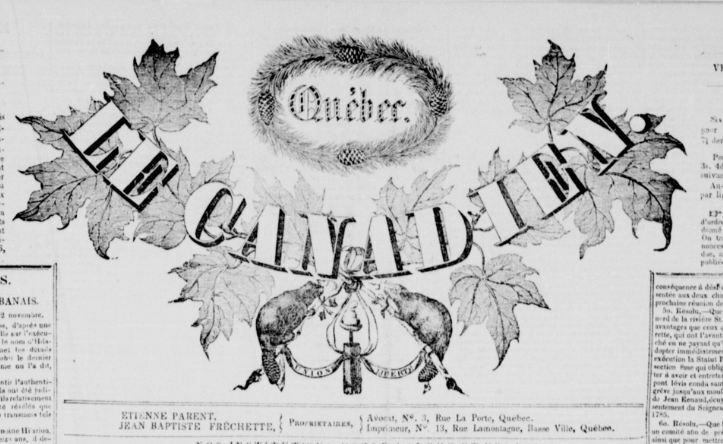 After their excursion, the partook of a Déjuné [sic] à la Fourchette, with the officers of the Grenadiers, and then returned to the steamboat which was to convey them to Montreal. They were fortunate in having a fine day for their visit, and the magnificent scenery appeared to great advantage. We had the pleasure of seeing Mr. and Mrs. Dickens for a few minutes; they both appeared highly pleased with the reception they had experienced in Canada, and regretted that their arrangements did not permit them to make a longer stay in Quebec, with the appearance and scenery of which they expressed the highest admiration. They have, in England, a family of four children, and in leaving this city, the ultima thule* of their peregrinations, Mrs Dickens, did not conceal her feelings as a mother that her progress would, from his point, be a return to those fond objets of her maternal solicitude. So much has been written of Boz that we can only add, the impression of our short interview enabled us to form, was that, though a popular author, he is not pedant, by no means desires to make a display and is much better pleased at being quietly and kindly received as Mr. Dickens, travellings for amusement, than as the Boz whose works have created so great a sensation in the periodical litterature of the present day. His lady in an unaffected agreable person, and we regret that their, too short, visit to Quebec dit not permit us to improve an acquaintance which we had anticipated much pleasure. En 1913-1914, que voulait-on que les jeunes Canadiens-français lisent?